Perhaps you added a piece of rose quartz to your bedroom to boost feelings of self-love and strengthen relationships with others. Or maybe you started carrying a piece of jade in your pocket for good luck. 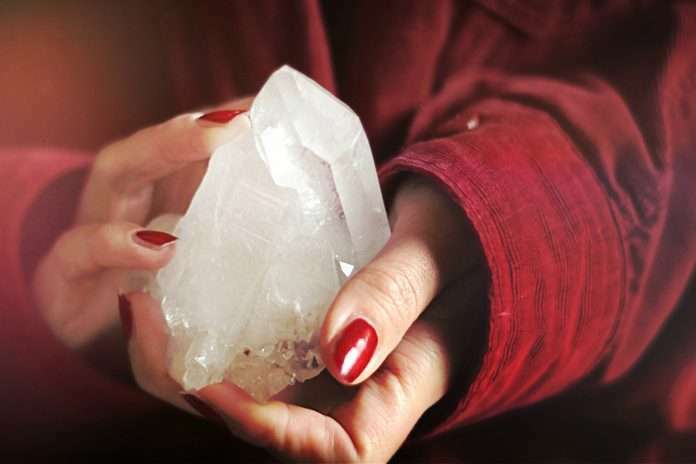 There are countless reasons to incorporate crystals into your daily life. Whether you want to remove negative energy, attract prosperity, or learn to communicate effectively…. crystals can be of service. However, anyone using these beautiful stones must learn about cleansing and charging crystals. This process ensures that each piece returns to its natural state, allowing it to radiate powerful healing energy. Energetically, you and your crystals have a lot in common. For instance, sometimes you may feel like your energy is dull or even overloaded. The same thing happens with the crystals in your collection. Just think about it! Before you even purchase a crystal, many people have come in contact with it. 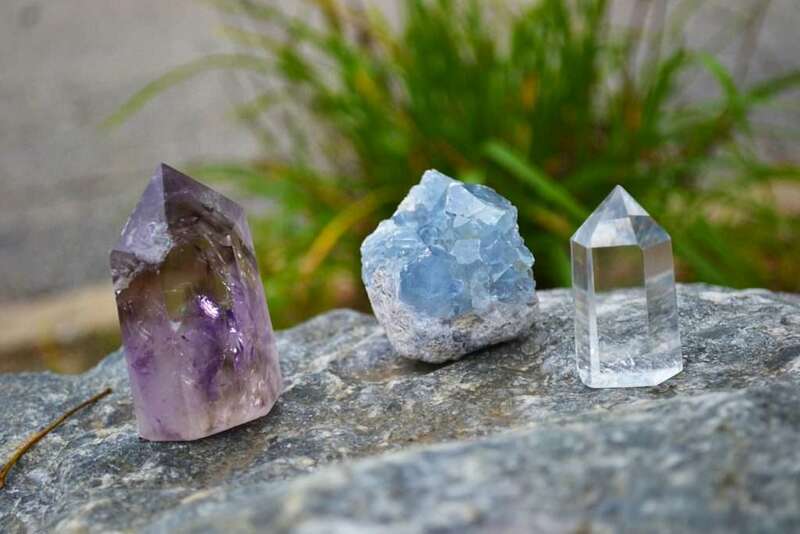 From being mined, to the distribution process, and being touched by fellow shoppers….crystals pick up an awful lot of energy. Over time, even the crystals in your home or office will pick up energies from outside sources. This is where cleaning and charging crystals comes in handy. The process removes unwanted energies and allows each piece to work as effectively as possible. There are several instances when cleansing and charging crystals becomes a must. One example? Right after you purchase a new stone. It doesn’t matter if you bought it at a dedicated crystal store, at the mall, or online. Or if a trusted friend gifted you a beautiful new piece. All new-to-you crystals require a good cleanse. This will remove outside energies and restore the stone to its original energetic state. In addition to new pieces, crystal jewellery also requires cleansing. This should be done at least once a week or anytime you intuitively feel they need a cleanse. Since these pieces are worn outside (where you come in contact with many different people throughout the course of a day), they require cleansing far more frequently. Pay attention to how each piece feels when you put it on. You will likely be able to tell when the energy has shifted. Crystals used within the home typically need to be cleansed monthly. That being said, this will vary may very based on: the number of people coming in and out of your space, emotional issues, lifestyle changes, and so on. Trust your instincts so you can remove unwanted negative energy as needed. Ready to start cleansing and charging crystals? To remove all unwanted energies? There are multiple methods to consider. Some methods work better for specific sizes (it is easier to bury small stones in the earth rather than large ones) and some should be avoided based on the type of stone (for instance, water is not a safe way to cleanse all stones). However, for the most part, it comes down to preference. An example? One person may feel strongly that one method is most effective while another person may feel a different method is best. Consider the type of stones you are cleansing first and foremost. Beyond that, listen to your gut. You know intuitively what will work best for your crystal collection. One of the simplest ways to remove unwanted energies and restore your crystal is with natural water. This is a quick and easy method. Best of all, the water deactivates any negative energy stored inside the stone. There are a few ways to go about this process. You can cleanse crystals during a rainfall outside, use a spring river, or cleanse them in an ocean. Another option is to place the stones in a colander or large bowl and turn on your tap. Run water over them and allow the impurities to wash away. Something to keep in mind? This particular method is not suitable for cleansing and clearing crystals like selenite. Certain stones will dissolve or change form in water. Be sure to check beforehand by searching online or using a crystal book for reference. There is no doubt about it: crystals can hold onto unwanted energies or emotions. This makes it especially important to cleanse them every now and then. Sacred smoke is one popular option. 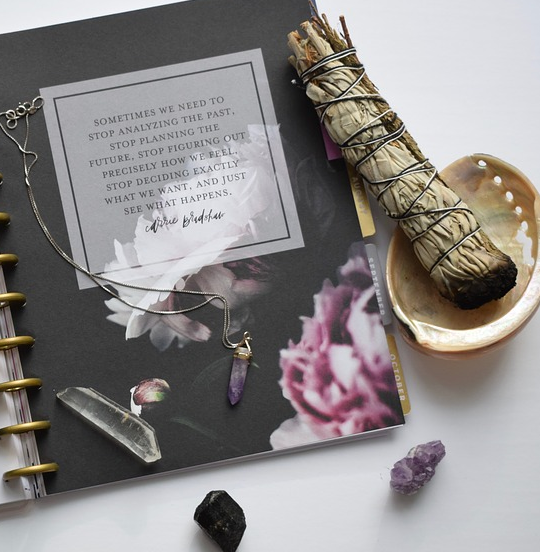 Many people focus on sage smudging their homes (read more about that process here) but crystals can also benefit from this ritual. Hold the crystal or crystals in the sacred smoke for a minute or two. You will intuitively know when the stone has been cleansed! This process releases anything unwanted. In addition to using white sage, you can also choose: Palo Santo, sweetgrass, or an earthy incense like cedar or sandalwood. Focus your mind on clearing and cleansing crystals completely – and take pleasure in this beautiful ritual. Another commonly used method is either the moon or sun. The sun is effective at balancing crystals yin and establishes a more focused type of energy. On the other hand, the moon is purifying. Which should you use? It depends entirely on the stone itself. For example, certain stones may become discoloured if left in the sunlight for too long. That includes pieces like amber and amethyst. In those cases, moonlight may be more acceptable. Something else to consider? Many crystal workers cleanse their stones during a full moon because it increases the energetic vibration. Intention is another way of cleansing and charging crystals. Hold onto any stone that requires cleansing and visualize negative energy being pulled out and away from the crystal. See it evaporate and disappear in your mind – before infusing your stone with positive intentions. You can even incorporate meditation into this process! State your intention to cleanse and clear, and surround yourself with any crystals you want to remove negative energies from. Your breath and focused intention will draw away anything that is no longer needed or wanted. It doesn’t end there! Yes, there are truly many different ways of cleansing and clearing crystals. Some additional ideas include: earth (smaller stones can be buried in the earth for 24 hours to return it to nature), using sound (chanting, singing bowls, a bell, or tuning fork are just a few ways to use sound therapy), a larger crystal (place smaller stones inside a larger piece of selenite or clear quartz), and breath work (hold a stone, breathe in deeply, and exhale in short breaths through the nose, directly onto the crystal). Cleansing and charging crystals is essential. It restores the stone to its original state and makes it more effective. Thankfully, there are many different ways to remove unwanted energies. Choose the method that resonates with you! We are a group of volunteers, who are sharing our passions, knowledge and abilities freely for all who come and hopefully again somethings and enjoy our online magazine.